Although perhaps Gearbox Software is not as well-known as other video game companies like Bethesda or Bioware, the American outfit is behind some high-profile games like Borderlands and its sequel, the Halo: Combat Evolved port and also notorious video game flop Duke Nukem Forever too. So Gearbox has been responsible for some fine video games and others that were not so great, but one bit of news which emerged earlier this month had some gamers up in arms… This is because Gearbox’s president Randy Pitchford said that PC owners who already owned the Bulletstorm video game on Steam would not be able to upgrade to the new Bulletstorm: Free Clip remastered edition for free. 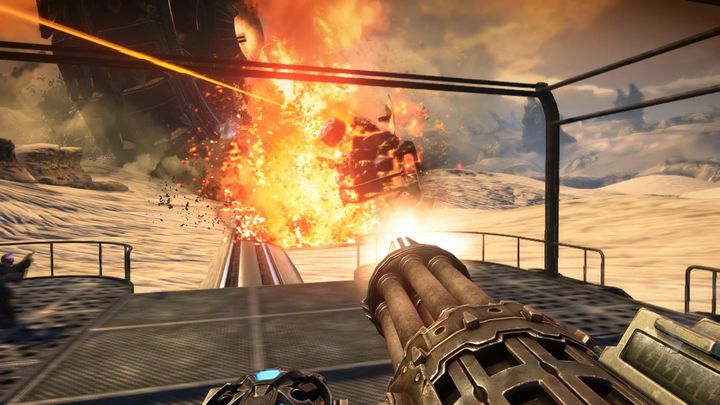 You see, Gearbox Software is partnering with Bulletstorm’s developer People Can Fly to create this new edition of the game, and some PC gamers were expecting to be able to upgrade to the new edition of the game for free as has been the case with other Steam games in the past. For instance, Bethesda let people who already owned their video game Skyrim and all its DLC upgrade to Skyrim Special Edition free of charge, but it appears this won’t be the case with Bulletstorm though. According to Pitchford, this is because the game was released by a different publisher back in the day, and also appeared on a different platform (Games for Windows Live) and not on Steam. @Rob_Dagg Not possible – completely different publisher, era, platform (they were Games for Windows only), product/sku, etc. And even if this might be a sad state of affairs for some, at least the new edition of Bulletstorm looks like it could be quite an improvement on the original, as it will feature several graphical upgrades like high-resolution textures and support for 4K resolution when it’s released on PC and PS4 on April 7 next year.